Where has Splinter Cell disappeared to? The series used to be an important cornerstone for Ubisoft, but it’s been missing in action since 2013’s Splinter Cell: Blacklist fell short of sales targets (it only moved around 2 million copies). Well, we still don’t know when we’ll see another full Splinter Cell game, but series protagonist Sam Fisher is set to make his sneaky return in Tom Clancy’s Ghost Recon Wildlands. Ubisoft has released a short trailer for a new special ops mission named The Call. The teaser features Sam Fisher talking about an upcoming mission in Bolivia, which will require a bit of extra firepower. Time to call the Ghosts! Interestingly, the actor used for the teaser sounds very much like Michael Ironside, who voiced Sam Fisher in every Splinter Cell game before being (controversially) replaced in Blacklist. Check out the video and see if you think it’s Ironside. Ubisoft promises to provide more info about the upcoming Ghost Recon Wildands/Splinter Cell crossover on Monday (April 9). Wildlands launches its next free DLC update, Special Operation 1, on April 10 – it includes a new Ghost War mode and maps, AI teammate customization, and a PvE mission and special challenge for the core campaign. Presumably, that PvE mission and challenge will be Splinter Cell themed. You can get more details about the Special Operation 1 DLC, and Ubisoft’s plans for the Ghost Recon Wildlands’ second year of content, right here. Special Operation 1 is included Ghost Recon Wildlands’ $30 Year 2 Digital Pass, which includes all four updates, an exclusive customization pack, four Special Ops battle crates, four Ghost War battle crates, and early access to all the new Ghost War classes. Ghost Recon Wildlands is available on PC, Xbox One, and PS4. What do you think? Excited to see Sam Fisher back in action? 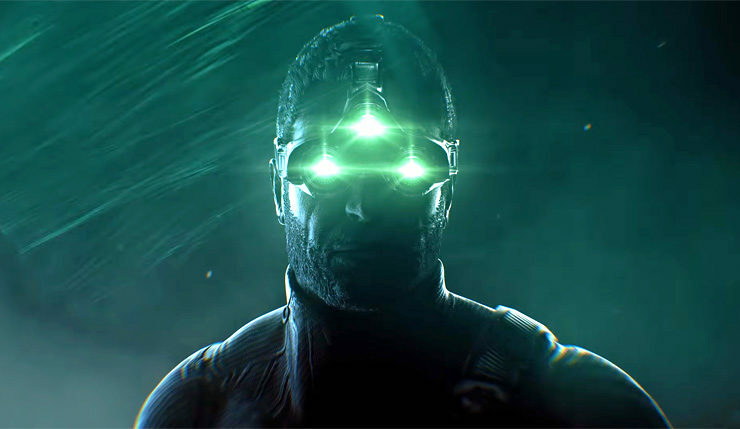 Do you think those rumors about a new Splinter Cell being in development could be true?